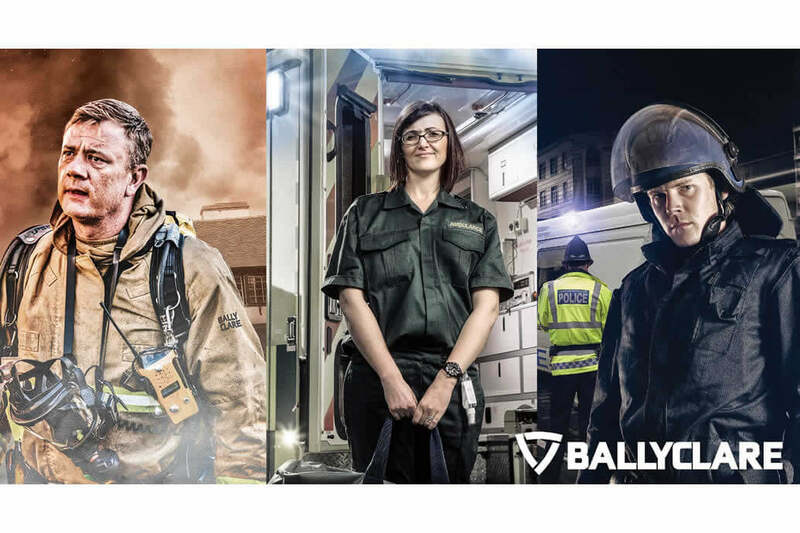 Ballyclare is a well-established supplier to the fire sector, and on stand E71 they will be showcasing their brand new Xenon range; a complete collection of multi-layered, interactive and multifunctional fire garments covering structural, rescue and USAR. The more traditional structural fire kit has been designed using brand new technologies in fabrics. This includes outershell fabrics, linings and the new Parallon liner system from Ballyclare’s partner W. L. Gore & Associates. To accommodate the changing role of the firefighter, the range has been extended to include an advanced new layered system. This includes multifunction rescue jackets that meet the highest levels of high visibility, waterproofness and breathability that can be worn for the majority of firefigher’s duties such as RTCs or wildland firefighting. There is the option to wear a light weight tunic over the top that will enable the firefighter to safely attend a structural fire. To complete the range Ballyclare has developed a two-piece urban search and rescue suit that can be zipped together for optimum comfort and protection. This too meets the highest level of high visibility, and is inherently flame retardant. A durable GORE-TEX® jacket and over trouser are available to wear over the top for wet weather protection. Ballyclare will be displaying examples of the protective police clothing it provides, including hi-vis waterproof jackets, blousons, anoraks and over-trousers. This range also covers a variety of public order garments including trousers and jackets for male and female officers, all manufactured from Navy Kermel fibre which allows the garments to offer high levels of protection in dangerous situations. Ballyclare can also provide this type of garment to meet bespoke requirements. NHS Trust and other ambulance sector visitors will also be well catered for on the Ballyclare stand. The company supplies a variety of ambulance uniforms and paramedic workwear, with all garments designed to be comfortable to wear yet able to provide reliable protection. Hi-vis and soft shell jackets are included in Ballyclare’s ambulance garment range, along with embroidered shirts and trousers in ambulance green. To highlight Ballyclare’s range of managed workwear laundry services, representatives of partner company Berendsen will also be on the stand to speak to visitors. With the help of a specially commissioned scale model of the Berendsen laundry facilities, they will explain the details of the comprehensive garment management service which Ballyclare provides to the emergency services. This includes laundering and maintaining the garments to ensure that they are fit for purpose and comply with health and safety standards, and tracking every garment so its history can be accurately traced.